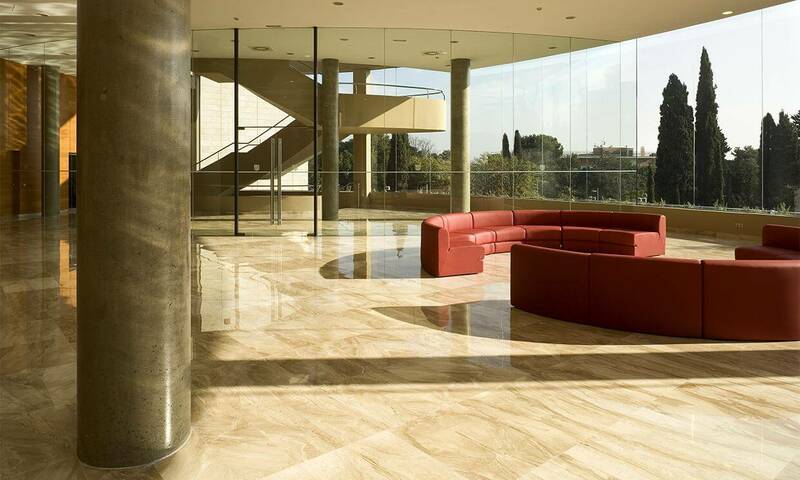 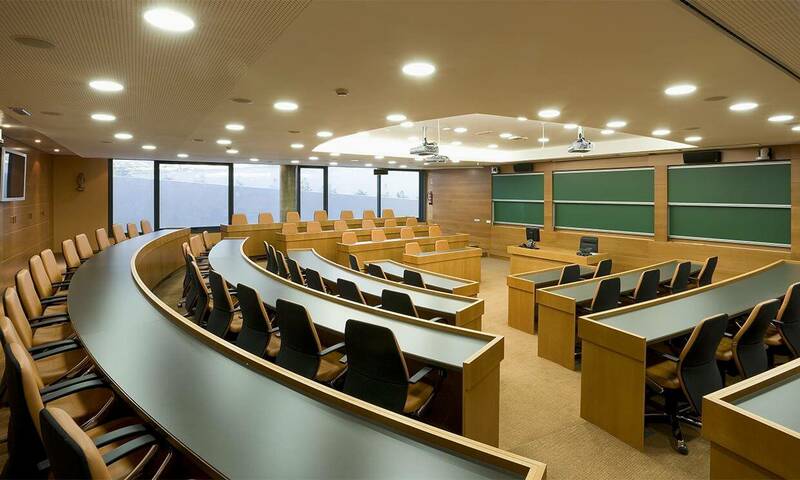 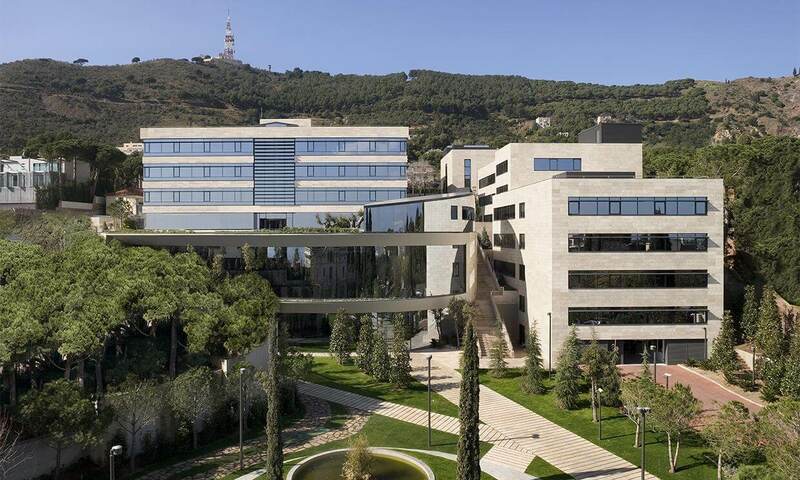 The progressive growth of the IESE facilities in Barcelona has resulted in its enlargement with a new campus, close to the previous one. 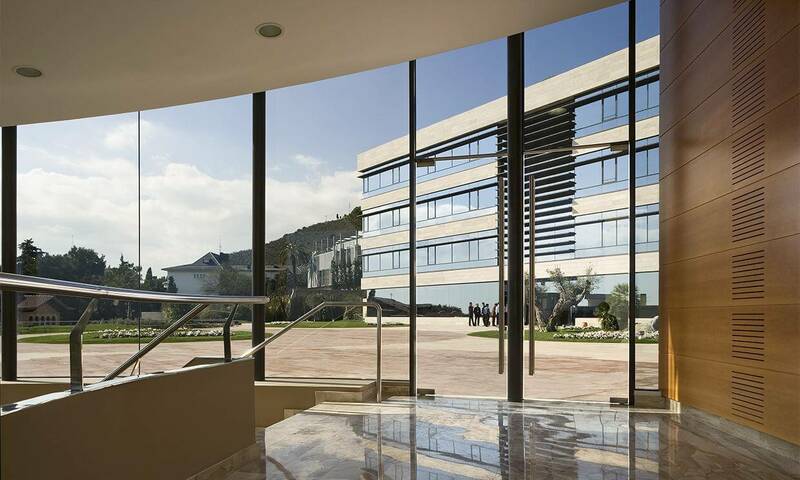 It occupies a surface area of 30,000 m2, with 25 metres of gradient, in an exclusive part of the city, with views of the sea from the front façade and the woods of the Collserola hill range from the back. 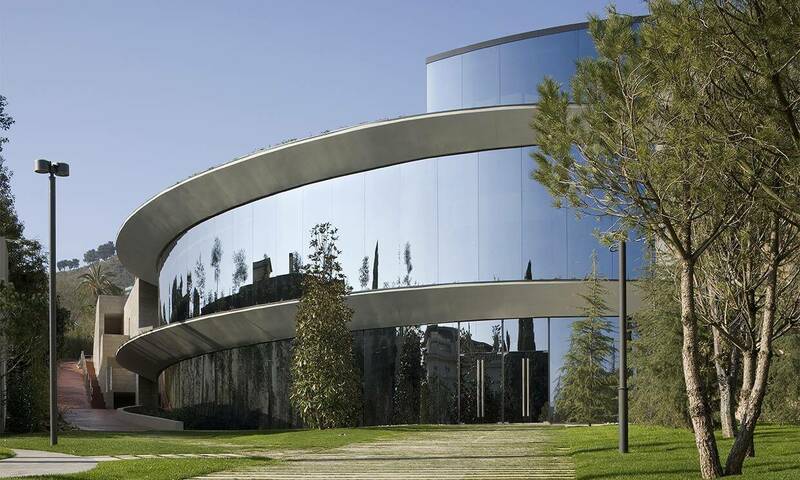 In this spectacular complex, made up of five buildings of different sizes, which interconnect crossing a difficult terrain, the access is via a tower with an elliptical ground plan. 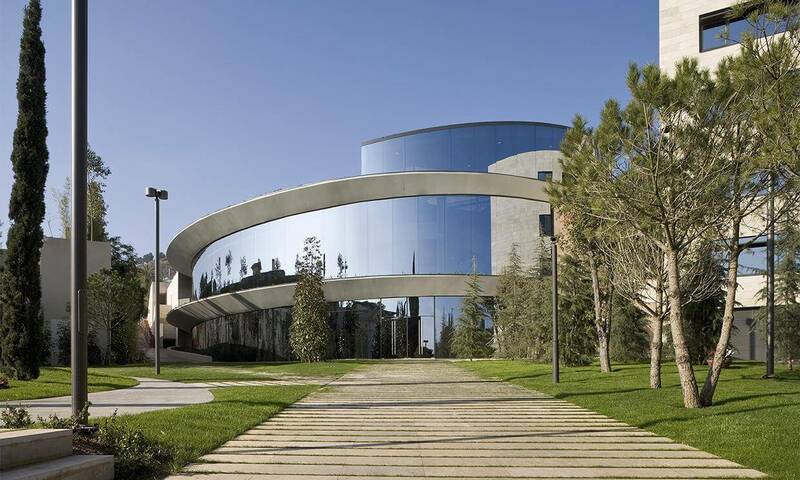 This tower shelters a spiral stairway, which leads to a gardened area that in turn leads to the central building. 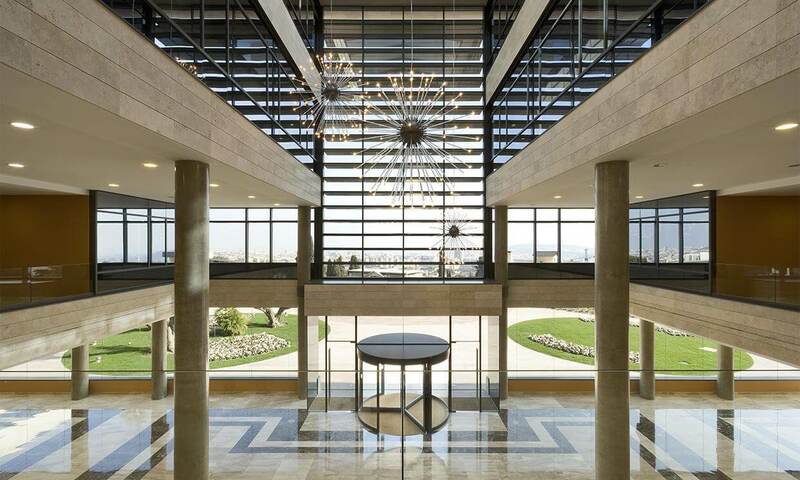 In this building, we come across a large and well-lit vestibule, where another open spiral stairway and a battery of panoramic-view lifts connect the different spaces. 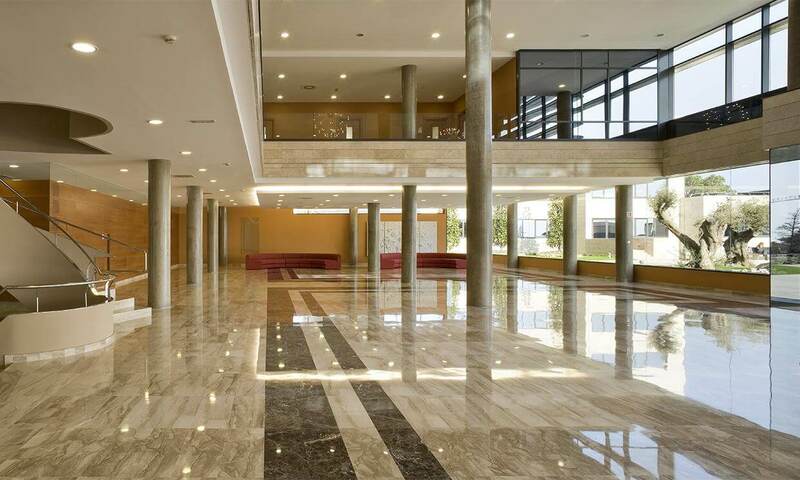 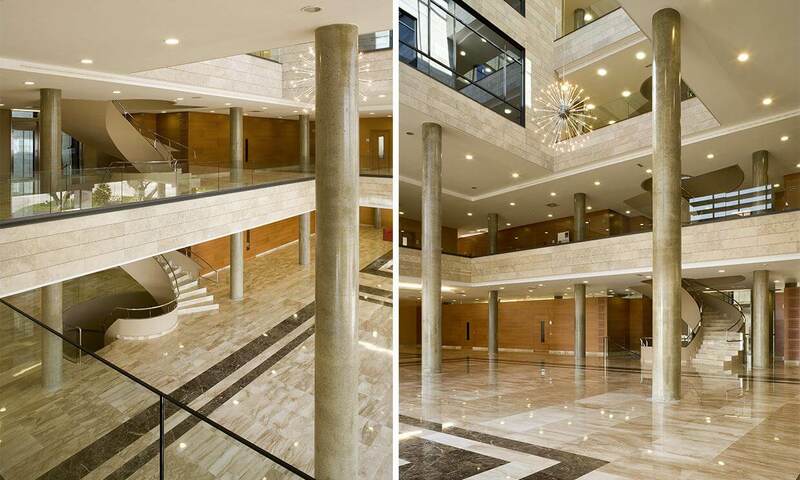 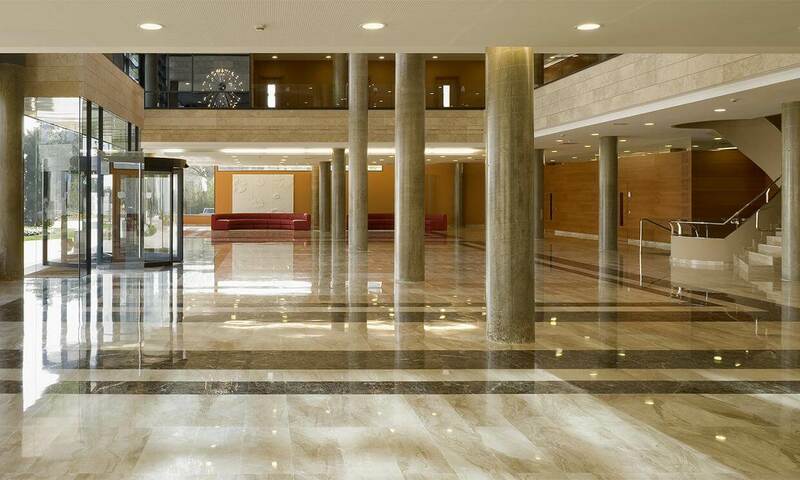 On the upper floors we find the classrooms, meeting and study rooms, the library and the administrative departments. 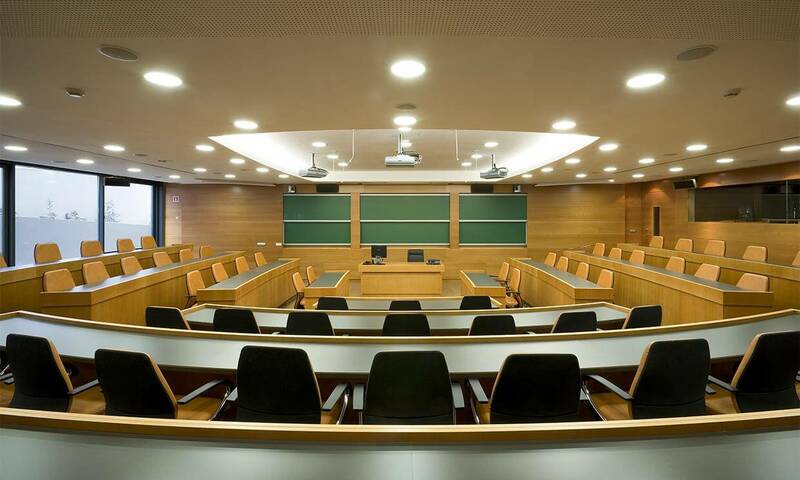 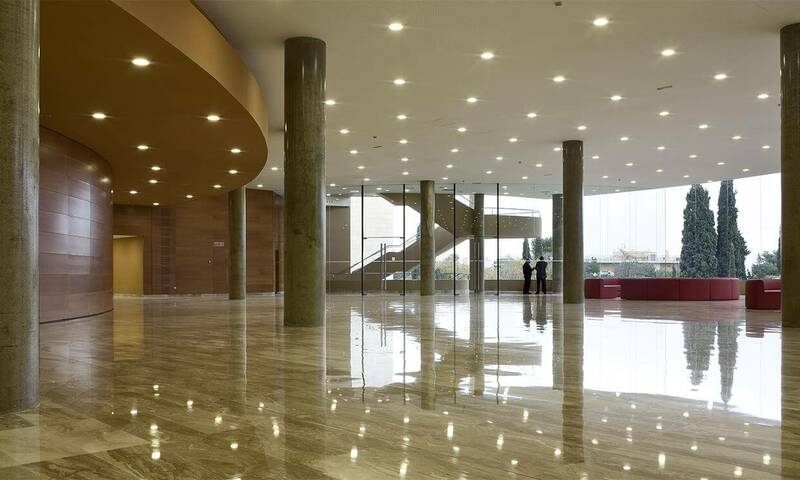 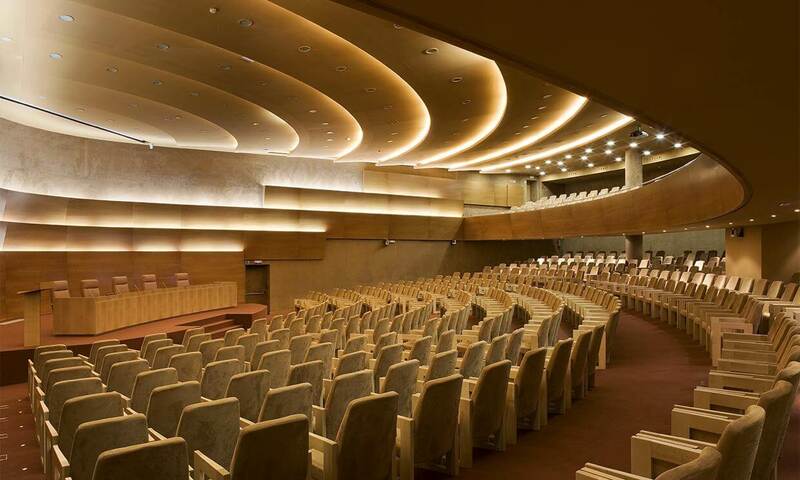 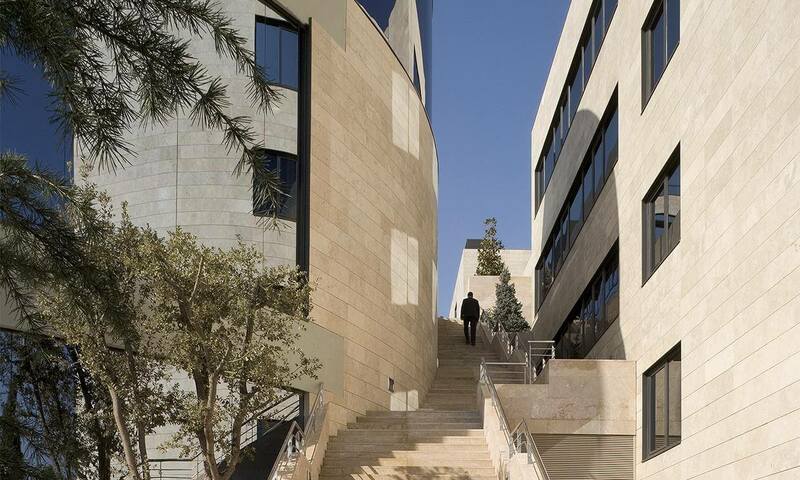 Below the gardened area there is an auditorium with a capacity for 700 people –equipped with cutting-edge technical resources, as are the study areas–, and the bar and cafeteria, with a capacity for 300 people, and also an underground car park for 280 vehicles. 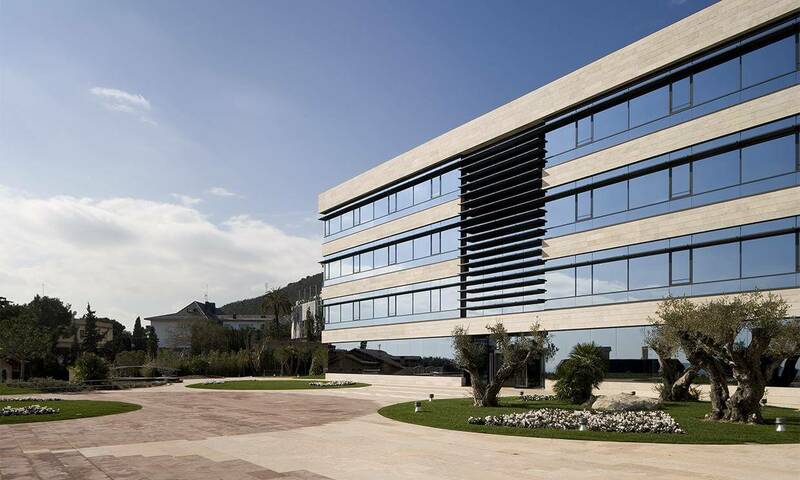 The complex is completed by three side buildings used for work rooms and offices.